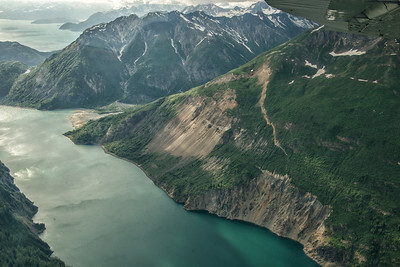 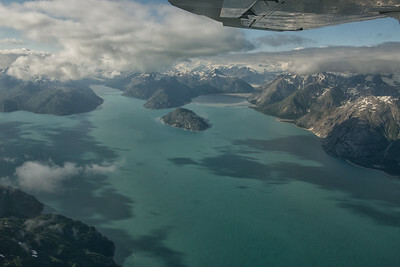 Within Glacier Bay, on the northeastern edge of the robust Fairweather Range, you'll enter the Johns Hopkins Inlet, home to no less than nine glaciers. 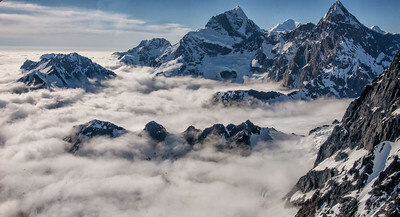 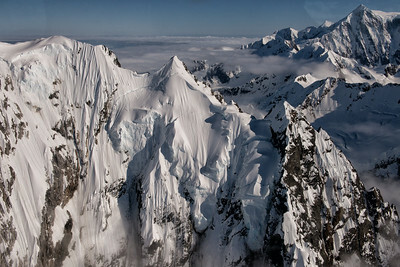 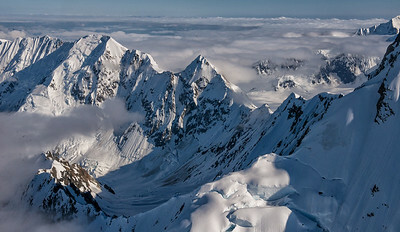 Framed by rocky slopes that stretch skyward more than 6,000 feet, these wondrous bodies are eclipsed only by the mighty Mount Fairweather itself, which at more than 15,300 feet is the highest point in southeast Alaska. 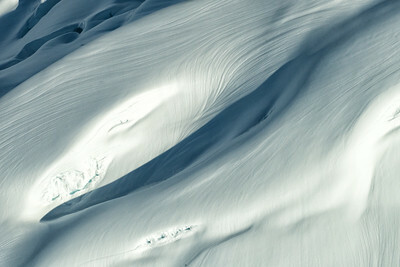 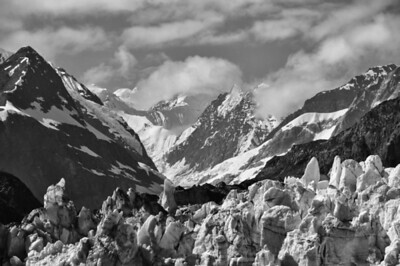 Windswept snow on the heights of Glacier Bay's Fairweather Range. 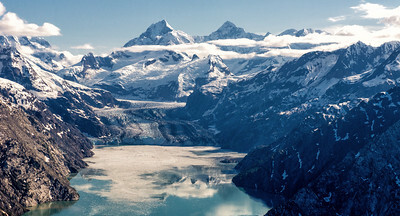 The mountains are fountains of men as well as of rivers, of glaciers, of fertile soil. The great poets, philosophers, prophets, able men whose thoughts and deeds have moved the world, have come down from the mountains. 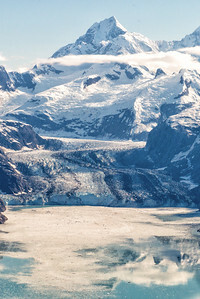 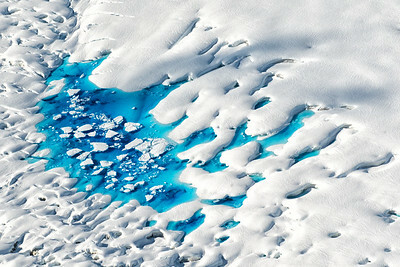 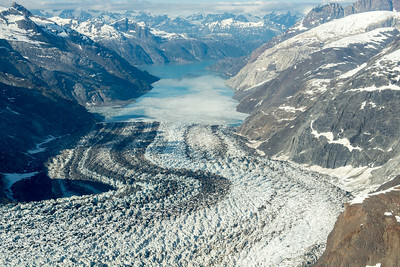 - John Muir Glacier Bay and the Fairweather Range. 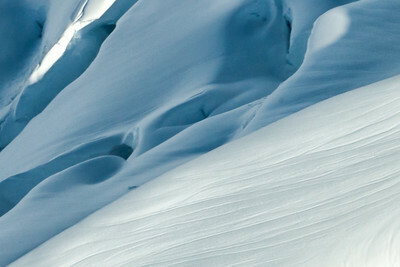 No synonym for God is so perfect as Beauty. 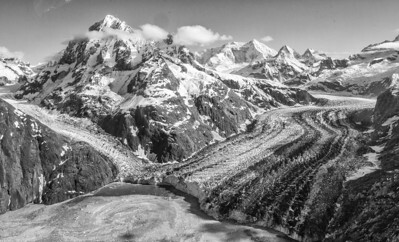 Whether as seen carving the lines of the mountains with glaciers, or gathering matter into stars, or planning the movements of water, or gardening - still all is Beauty! 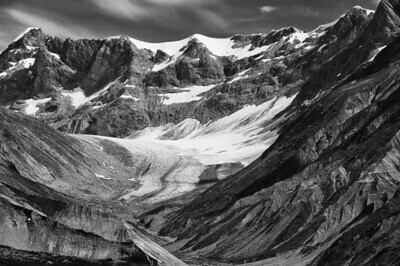 - John of the Mountains: The Unpublished Journals of John Muir, (1938), page 208.